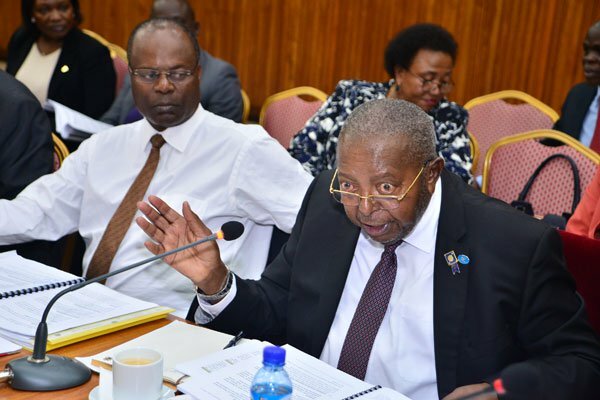 PARLIAMENT – The licenses for the seven defunct Banks that were closed by Bank of Uganda have never been revoked over two decades when the first Bank was closed in 1993. The matter came to light on Friday during the probe hearing into the procedure used by the Central Bank to close the banks, which investigation is being conducted by the Committee of Commissions, Statutory Authorities and State Enterprises (COSASE) Among. Anita Among, the COSASE Vice Chairperson, asked the Bank of Uganda officials to provide evidence of the instruments for the revocation of the licenses of the defunct Banks, but Margaret Kagwa– Legal Counsel Bank of Uganda said there was no need to issue this notice because the Central Bank had taken over management of these banks during receivership period. Among fired back asking Kagwa why Bank of Uganda would write a letter announcing to the Banks of the licenses but fails to do the same when the licenses elapses asking, “Do you issue a license when a financial institution is beginning to operate, how will I know that my license has been revoked because of failure to fulfil conditions when you don’t write to me? Kagwa maintained that licenses of Financial institution is different from other institutions and once Bank of Uganda takes over the Bank, the license ceases to exist automatically.